Stringed instruments come in many different varieties, and they can be held in many different positions. Some are hammered, others are plucked, others are strummed. Folk music especially makes use of stringed instruments held and played in the lap. Friends would sit around after a long day's work and unwind by enjoying a "session" of music making and story-telling. Lap instruments made this easy and comfortable. 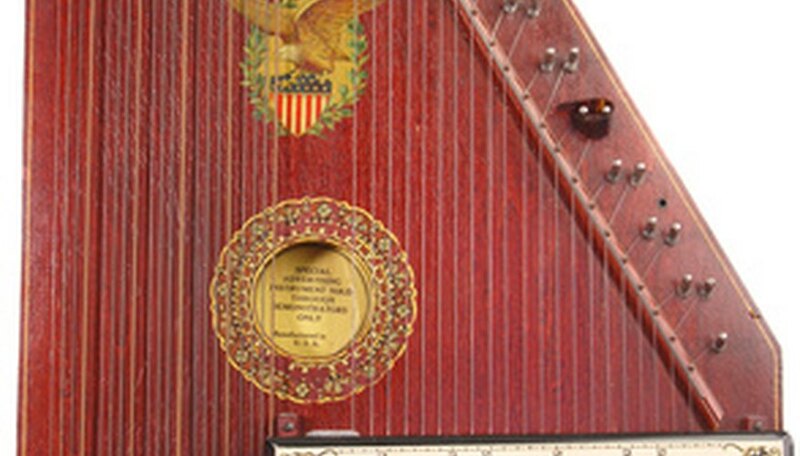 The autoharp was invented in the late 1800s by a German luthier named Karl Gutter. He sold his rights to the instrument, which was later discovered and improved upon by American instrument maker Charles Zimmerman. The correct technical name for the instrument is a chorded zither. The autoharp lays flat across the lap. When the player pushes the keys, the chord bar dampens certain keys and allows others to sound, creating chord patterns when the strings are strummed. A skillful player can play melodies by changing the chord pattern quickly and plucking individual strings. The lap dulcimer is an Appalachian folk instrument also known as the mountain dulcimer. It most likely developed from German zither-like instruments that came over with early immigrants to the Appalachian mountain region. It is a long, thin instrument with a fretboard and usually four strings. The strings are either plucked or strummed, and the pitch is controlled by a slider for strumming chords or single fingers for plucking melodies. The dobro, also called the resonator guitar, slide guitar or steel guitar, is a hybrid guitar-banjo type of instrument that was developed in 1927. It is held across the lap and plucked with metal picks with one hand while the other hand controls the pitch by means of a metal slider on the fretboard. The name dobro is actually a brand name, but has become a generic term for any resonator guitar.